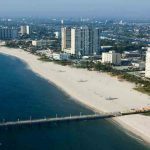 There is so much to see in Pompano Beach, Florida, so make sure you have an updated prescription for glasses and contact lenses. People come to Pompano Beach from all over to visit Isle Casino Racing, the 26 Degree Brewing Company and Bailey Contemporary Arts. 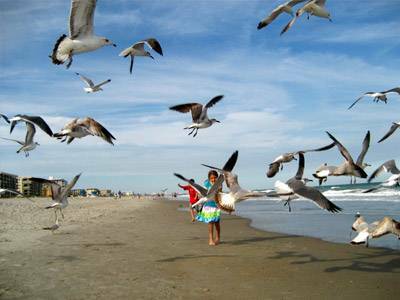 Nature lovers will find breathtaking scenery on Pompano's miles of sandy beach, its popular fishing pier and golf courses. And you'll see the locals catching some great food at Farraddays Steakhouse, La Vie Lebanese and J Mark's Restaurant & Bar. But ask someone in Pompano Beach where to go for the best eye doctor in the area - and they tell you to jump in your car and head over to Broward Eye Care's eye clinic where you can get the most comprehensive eye exam in the Pompano Beach area. Broward Eye Care is happy to serve patients from Pompano Beach. Providing superlative care in Broward County, the optometrists at Broward Eye Care will take care of all your eye care needs from a fully comprehensive eye exam for either adults or children, to evaluations for Orthokeratology (Ortho-K), hard to fit contact lenses, including scleral lenses, as well as caring for patients with eye disease such as Keratoconus. Have an eye emergency in Pompano Beach, FL? Whatever your vision needs are, the eye doctors at Broward Eye Care Center are here to serve our Pompano Beach patients – and throughout the area.